In 1943, when the United States was involved in World War II the country was rocked on the home front. Thousands of Mexicans had migrated to the city of Los Angeles, California in order to bolster the defensive effort of the United States. However, what followed instead was pandemonium as young Mexican Americans were attacked constantly by the Marines and sailors of United States. The young Mexicans wore “Zoot Suits”, which were mainly a broad-shouldered drape jacket, with balloon-leg trousers, and flamboyant hats. U.S. servicemen attacked every Mexican and Mexican-American youngster who would be seen wearing this attire, and they became known as the zoot-suiters. The riots were mainly caused by the hostilities and fears that gripped Americans after the murder trial of Sleepy Lagoon, where a young Latino man was killed in a barrio. This triggered several attacks in various cities of the United States. A soldier with two men wearing zoot suits in Washington D.C., 1942. 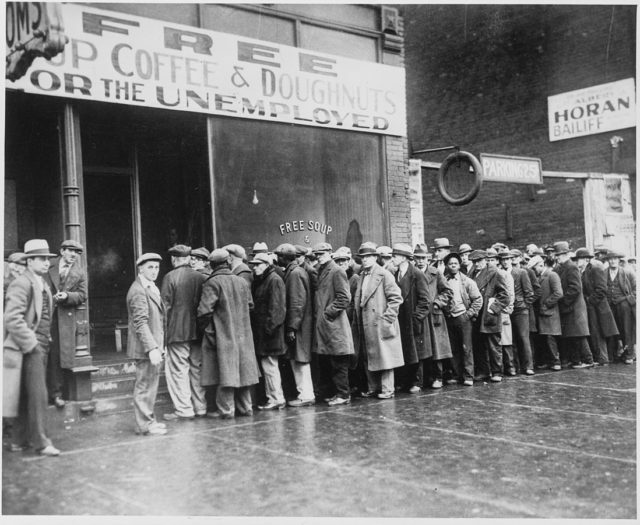 The United States was heavily involved in World War II and needed workers in the service and agricultural sectors. This saw an influx of Mexicans enter the country to fill up positions in the sectors, which had been vacated by everyone who had joined the U.S. military. Mexico reached an agreement with the US and sent temporary workers, who weren’t welcomed with open arms by many white Americans. 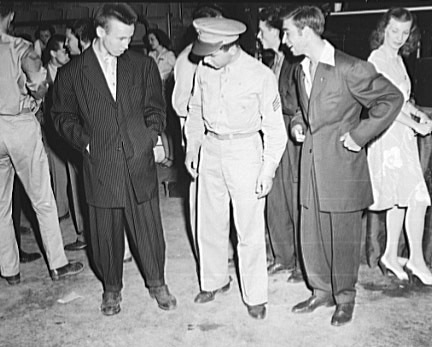 Clothing restrictions had been placed during wartime and the zoot-suits that the Mexican American youth wore was seen as unpatriotic by the vast majority of servicemen in the Army. What exacerbated the problem was that most of the white Americans and servicemen had little to no knowledge of Mexican-American culture. The tension between Mexican Americans and white Americans had been around for a long time, as Mexicans were generally classed as migrant workers and were discriminated against when it came to jobs in the country. The United States had deported more than 12,000 people of Mexican descent back to Mexico during the Great Depression in the 1930’s. The Sleepy Lagoon Murder Case dominated all the national news in 1942. Some Mexican-American teenagers who were from the 38th Street Gang were alleged to have murdered Jose Diaz. The teenagers had a trial and were convicted of murder with all of them getting lengthy prison sentences. However, the convictions of the nine young men were overturned, and this created further animosity between the white American community and Mexican Americans. The police and the media presented all Mexican American youth as gangsters, thugs, and hoodlums, which didn’t help matters at all. The fuse had been lit, and it was slowly burning towards the impending explosion. Tensions were reaching fever pitch levels between Mexican American youth in the country. The United States had placed strict restrictions of rationing, particularly on the manufacture of wool. 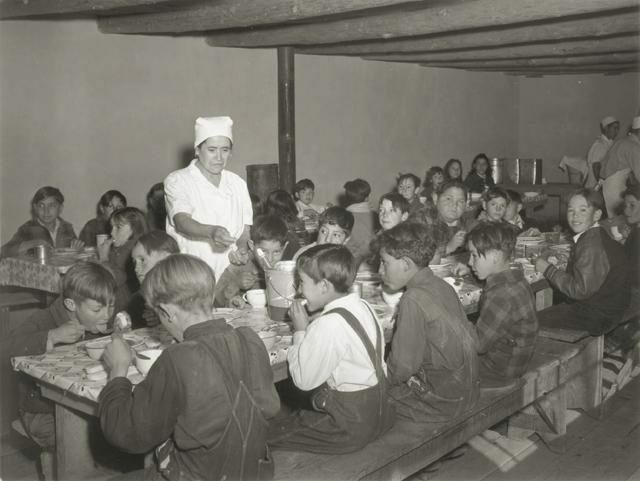 Mexican American school children in the 1940s. The army needed to manufacture clothing for its men, and placed a 26% cutback on wool in all fabrics. 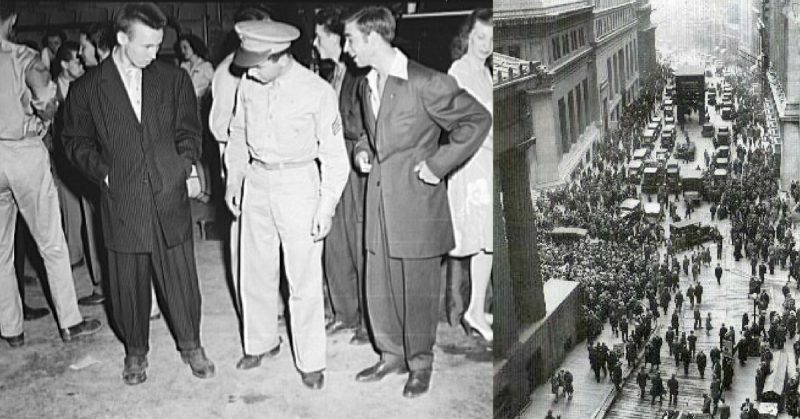 However, the Mexican youth were seen wearing Zoot-Suits, which were made by bootleg tailors. The zoot-suiters paraded around Los Angeles and were instantly recognizable by their clothes. This didn’t please the white military servicemen in the U.S. Army who believed that the Mexican youth was deliberately not following the rationing regulations.